Aimee Sehwoerer of Investor’s Group, and returning partners: Langara School of Management, Tradable Bits, Suzanne Rushton Photography, Buzzmachine.ca and other businesses have already signed on to partner with the event. In 2015, the event partnered with over 30 businesses. Sign up at TEDxGastownWomen.com to get on the mailing list and be notified of ticket sales and event updates. Read reviews of last year’s inaugural event on Hello Vancity and Vancouver is Awesome. See photos of last year’s event on Flickr. TEDxGastownWomen was the first TEDxWomen event to take place in Vancouver - celebrating the power of women and girls to be creators and change-makers. The theme for 2016 is Power, 2015's theme was Fearless. 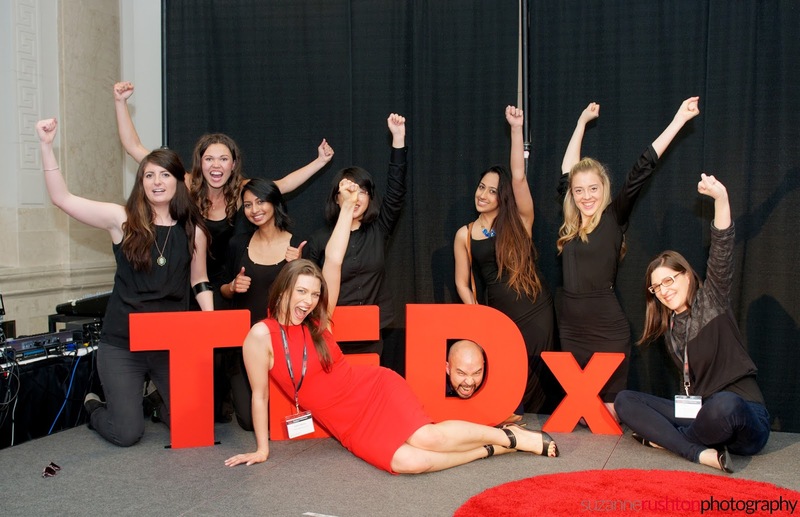 TEDxGastownWomen 2016 will take place on October 29 and will feature a curated lineup of diverse speakers spanning industry, origin, age and experience. The presentation will also feature a selection of simulcast segments of the TEDWomen event taking place in California. The goal of this event is to help people connect in an environment that inspires the expression of unique points of view, and dialogue that can open minds and change opinions about the meaning of Power.